6. Shape. Rudraksha seeds are not always round, especially those with more than five faces, but the seeds generally have a round-oval shape. Familiarize yourself with Bhadraksha seeds, so you can recognize and avoid them (Bhadraksha seeds should not be worn as they don’t have the right spiritual vibrations). 7. Energy and vibration. 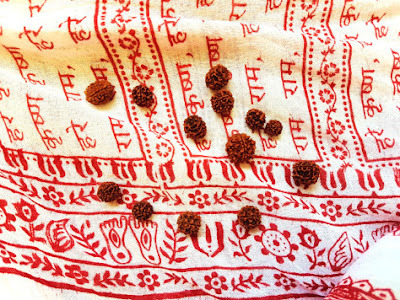 Some people are sensitive enough to feel the spiritual energy and vibrations emitted by Rudraksha seeds. Try meditating with the seed (or seeds) in the palms of your hands. 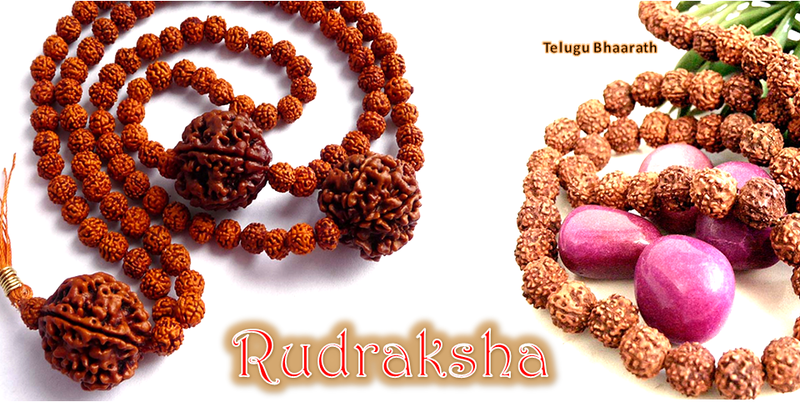 Rudraksha seeds radiate positive, grounding, serious vibrations. The energy can feel like a human pulse. With deeper spiritual practice, you’ll be able to feel these vibrations. 8. Number of faces (mukhi). 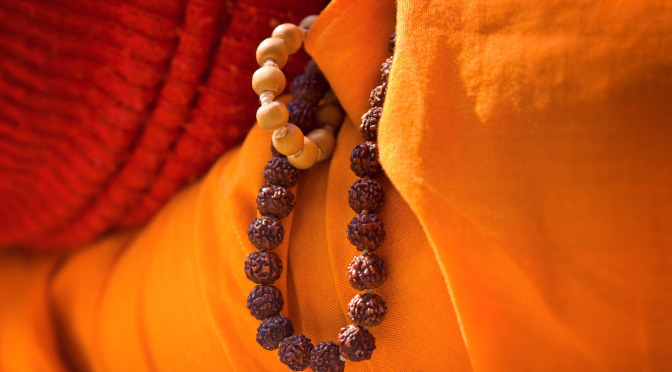 Among the most expensive Rudraksha beads sold commercially are the one-faced (ekmukhi) and certain other types claimed to be ‘rare’ by the sellers. Keep the following in mind: one-faced Rudraksha seeds are EXTREMELY rare, so there are high chances of you purchasing an expertly-made fake seed. 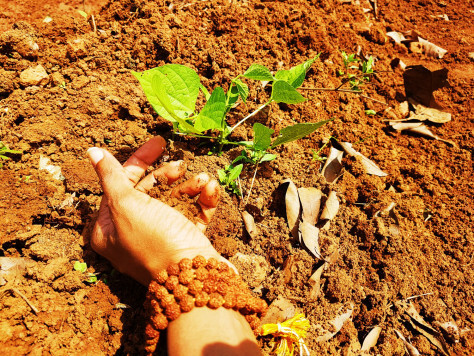 Rudraksha trees themselves are not very common these days, and the most trees produce the five-faced seeds. The more faces a bead has, the higher your chances of being cheated. Besides, if you read the Upanishad, even the more common seeds (three to nine faces) give great spiritual benedictions and blessings, so why risk it? So-called ‘Rudraksha experts’ have been known to insert metal pieces into fake seeds to make them react with magnets, copper and so forth. This is Kali Yuga, the age of tamasic values and corruption, so be careful when you make decisions and be wary of claims that are too good to be true.